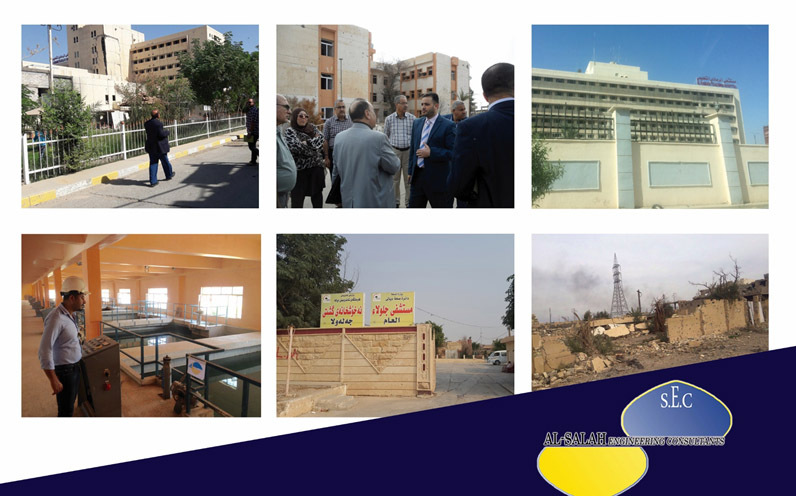 Our consultation office, in 2016-2017 has been responsible for providing exclusive consultation services to the governorates reconstruction plan affected by terrorist operations and from these governorates (Diyala, Kirkuk, Ninewah, Anabar, Salahueddin, North of Babylon, Baghdad belt). 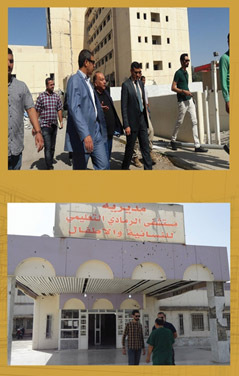 1- Completion of the integrated technical studies for the rehabilitation works, maintenance and restoration of 40 different - sized schools, distributed to the governorates of Ninewah, Diyala and Babel. 2- Preparation-comprehensive technical studies for all civil engineering, electrical and sanitary works as well as the needed requirements for the standard required for the rehabilitation of health centers in Diyala governorate. In the field of public hospitals, our consultation office completed the integrated technical study. a- Technical studies for the maintenance of the water project of Ramadi.